MMI When I was a teenager I remember dreamland closing and is as kids thinking what were we going to do. It really saw a moment where Margate started to go a bit downhill, but over the last few years Margate has thought to re open dreamland and work very hard at making a wonderful sea side town. It's on the up and it's great to see. 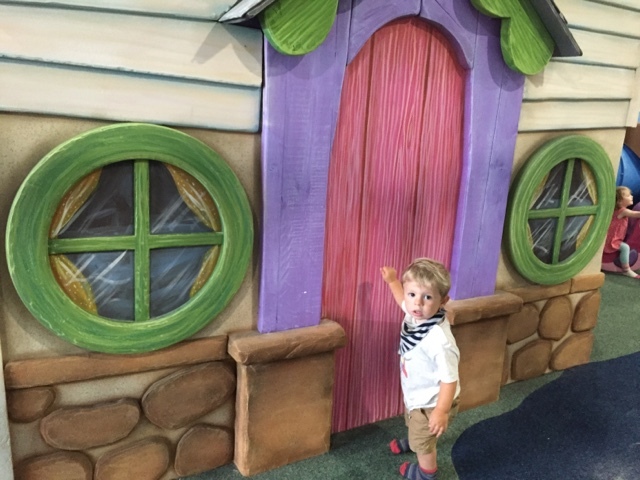 We visited Dreamlnd as we heard about a fantastic new play area so of we went to check it out. Walking through the main entrance I was reminded of childhood memories walking through with my parents on carnival day. It looks fab in side the building the team behind it has worked very hard on the apprence and the branding. We couldn't access the amusement park but spotted the feris wheel through the windows. Ami said she defiantly didn't want to go in there. So trough the vintage amusement parks we made it to the octopus gardens. 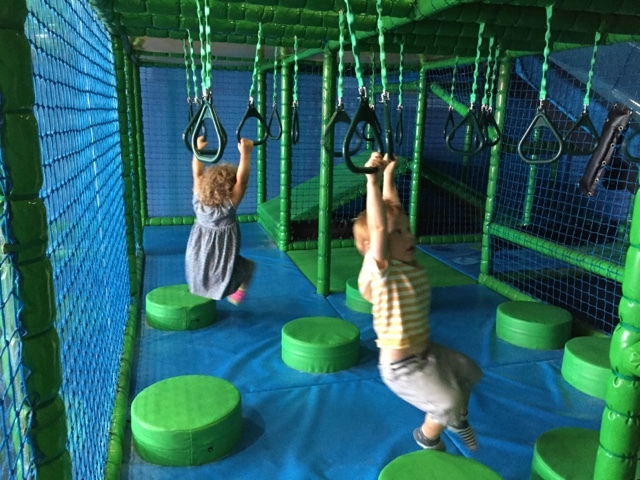 We have plenty of soft play areas in our area all ranging from different things you can do but this was something else. I usually suffer with time going so slow in these places but here it went by in a flash. As you walk in you are greated by a row of trees and a cute vintage cafe. My children didn't know what to do first. There is so much you can do and so many little rooms to explore. 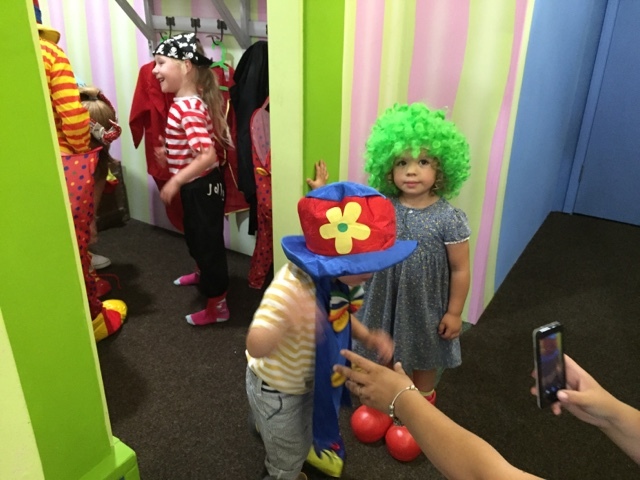 One of the first things we did was pop into the circus skills room where the children got to practice juggling and plate spinning. 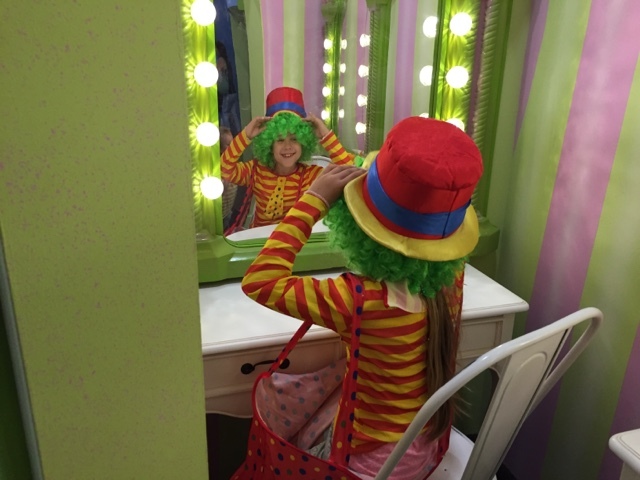 Along side that there was a make up room and a dressing up room so you can pretend to get ready for the circus. Round the corner to that there's some more little rooms. One with some cars and play tools for the children to pretend to be mechanics. 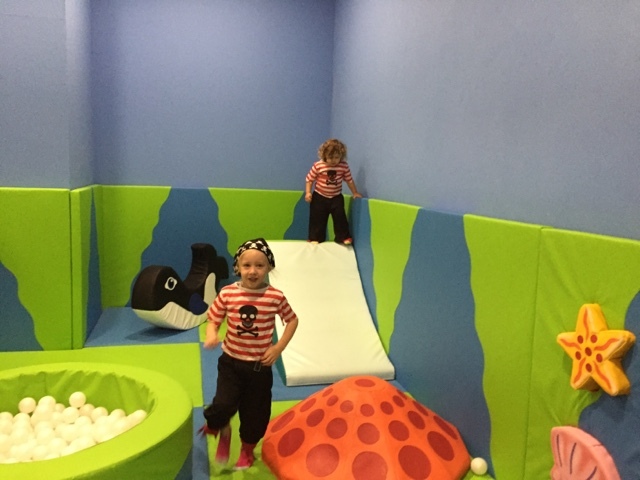 Then a soft play area for the babies with little ball pools. A little shop equipped with trolleys and food. Even a till Ami was in her element. 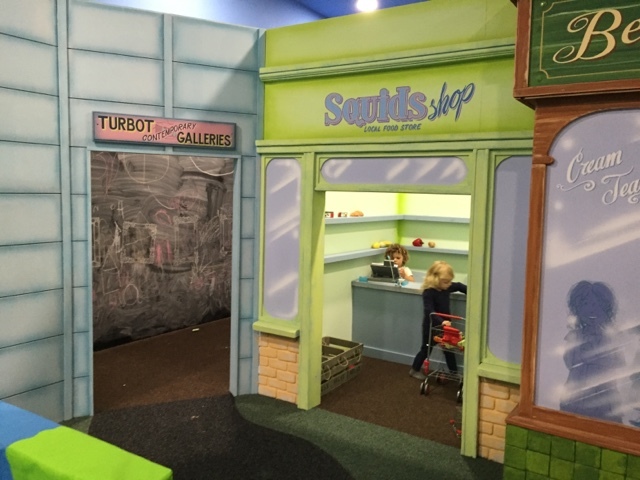 Oh and not to forget the turbot contempary gallery a whole room dedicated to drawing the walls painted in blackboard paint and the children are allowed to draw all over the walls. It carries on and on and if that's not enough it has two sand pits one with little beach huts that were the cutest things ever. For me it was the finishing touches like little brooms in the huts to sweep up. 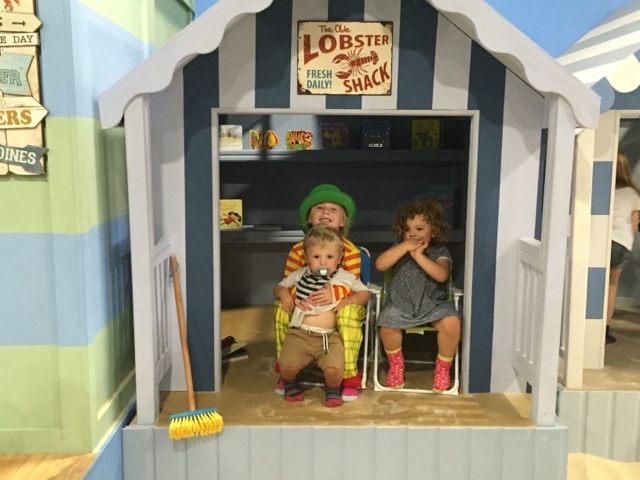 One beach hut had play food and a cooler and the other full of books about the sea. Next to this sand pit was a Punch and Judy stand where the children could put on little shows. 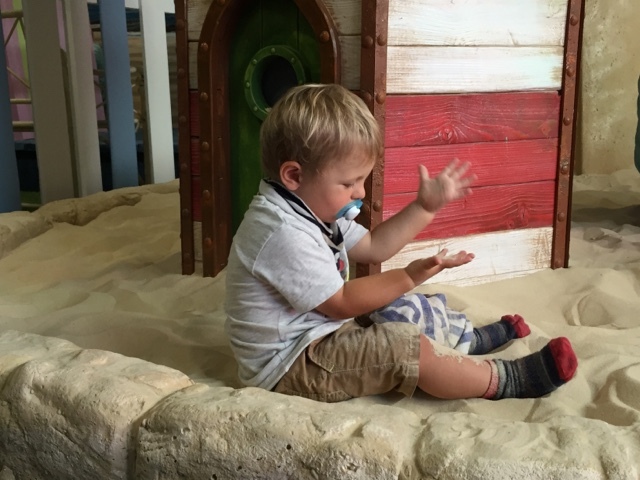 The next sandpit had massive sandcastles in and Son Son's favourite part a light house with some seagulls that every now and then spun round, he loved them as they had ice creams in thier mouths. 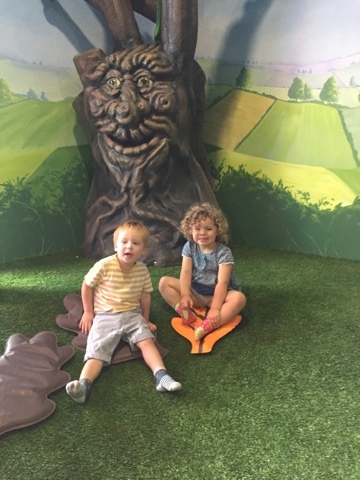 It continues to have a soft play area and a massive slide, a little allotment and pretend cabbage patch. A little hill too that you could roll down and wheel barrows alongside that. It really was the most creative and fun play area I have ever been too. The details were superb and really made it extra special. We had such a fun time and will be going back again. Also you can get local fruit juice for a £1 bargain. There were so many staff who happily played with the children and encouraged little games. 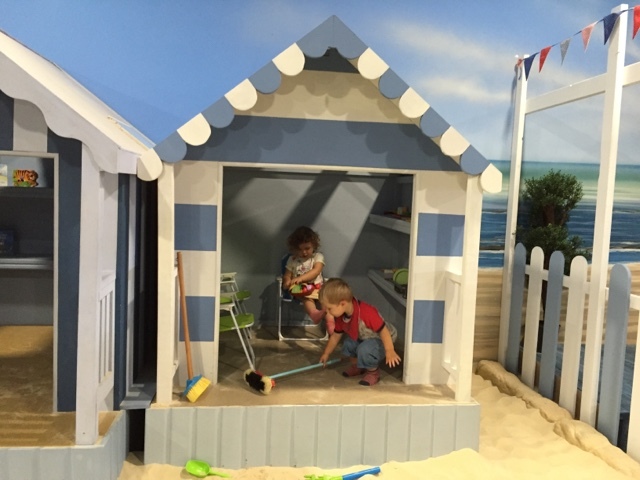 Really made a difference, one lady played for ages hiding the crabs in the sand and letting the children find them. Well done dreamland you have done a fab job with the octopus gardens. We look forward to exploring more what's on offer their too. 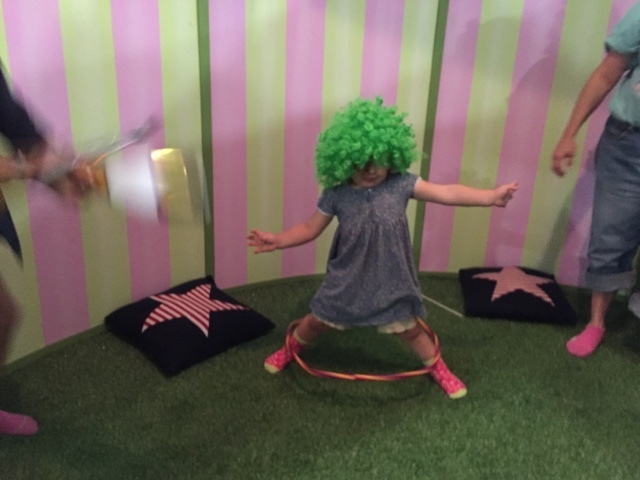 Dreamland looks wonderful fun and perfect sea side entertainment for a rainy day!